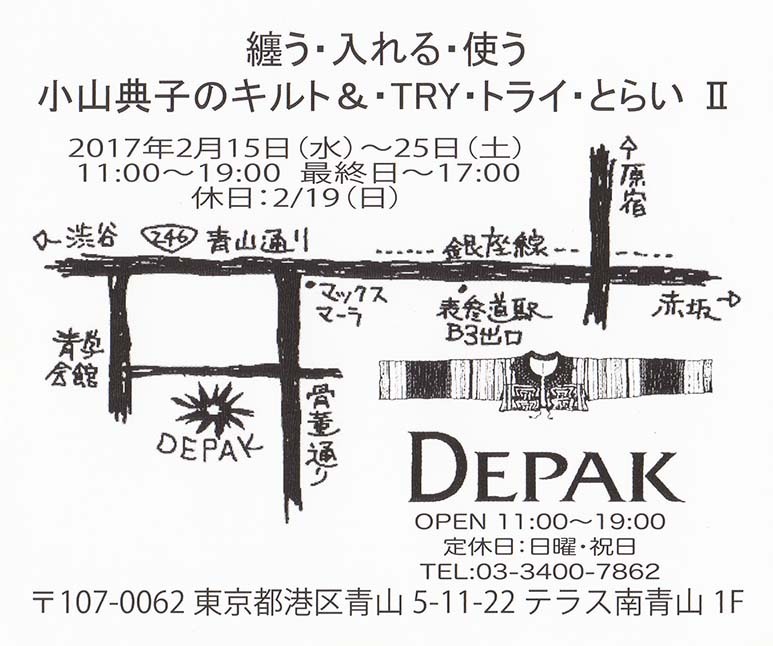 Exhibition of knitting or quilting stalls, vests, bags, and goods made with indigo dyed will held at "DEPAK" in Aoyama. Considering early spring, I use cloth dyed with light indigo and spring colors. 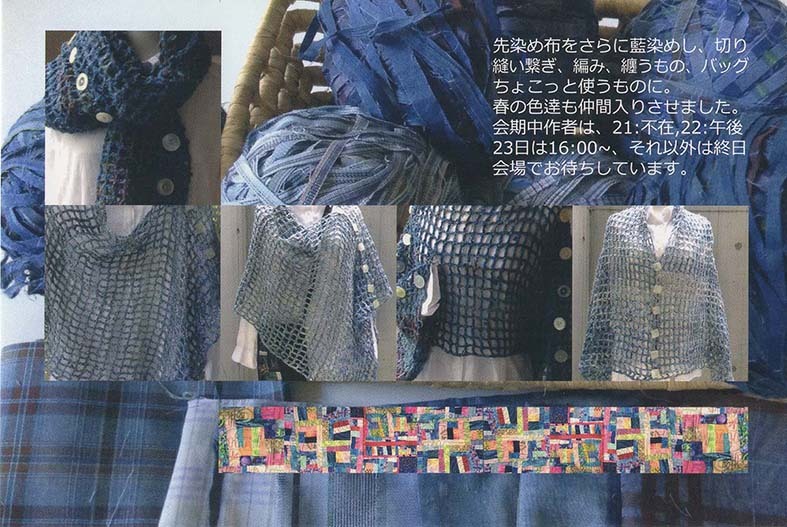 Email Noriko, Nunozaiku when you visit the shop.